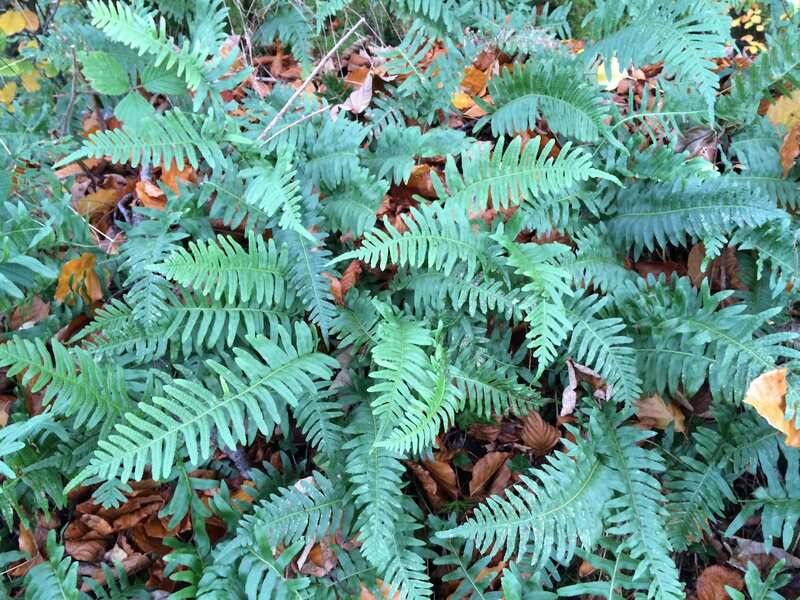 The common polypody is evergreen and native to the UK. It has narrow, obling fronds with the pinnae more or less equal in length so way up from the base. They are usually untoothed and blunt. Sori are circular when young and begin to ripen in August. Often found on old walls (as in the photo here at the nursery), in rocky areas and occasionally on leaf mould caught on trees. Easy to grow, good ground cover and ultra hardy. Very little required. 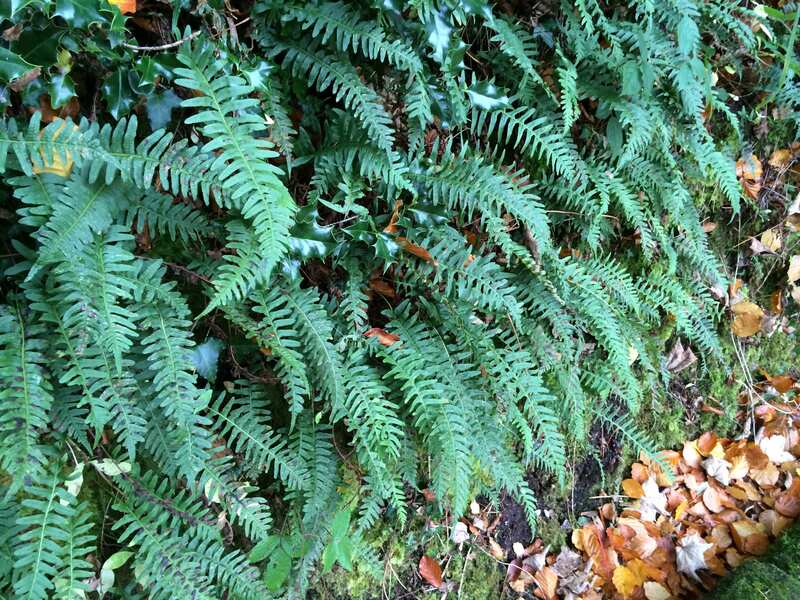 Unusually harsh winters can cause damage to older fronds and these are simply removed with secateurs. Propagate by division in spring or collect spores and grow from them.